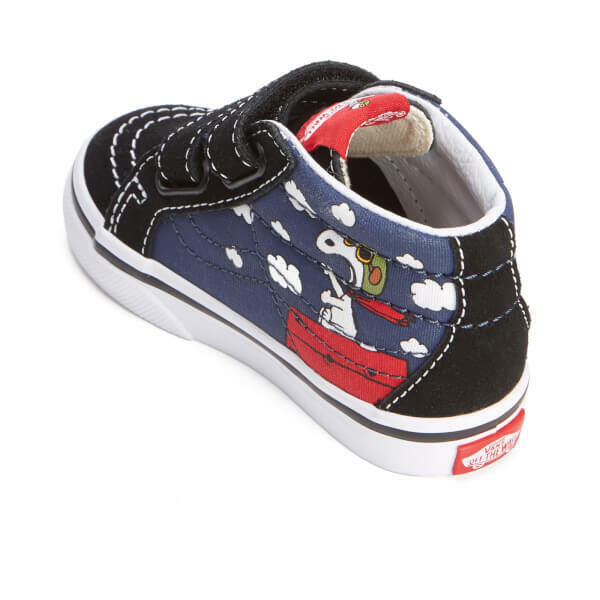 Toddlers’ ‘Sk8 Mid’ reissue trainers from the Vans x Peanuts collection. 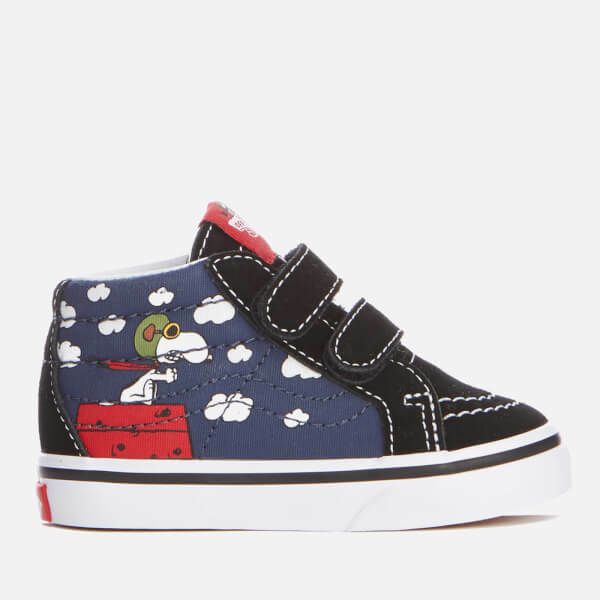 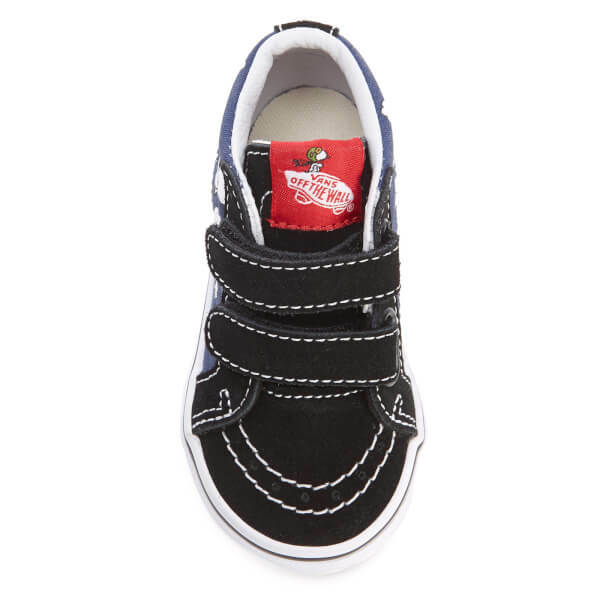 Crafted from durable canvas with black suede details, the mid top sneakers are detailed with three Velcro straps to easily get them on and off and vintage Snoopy prints to either side. 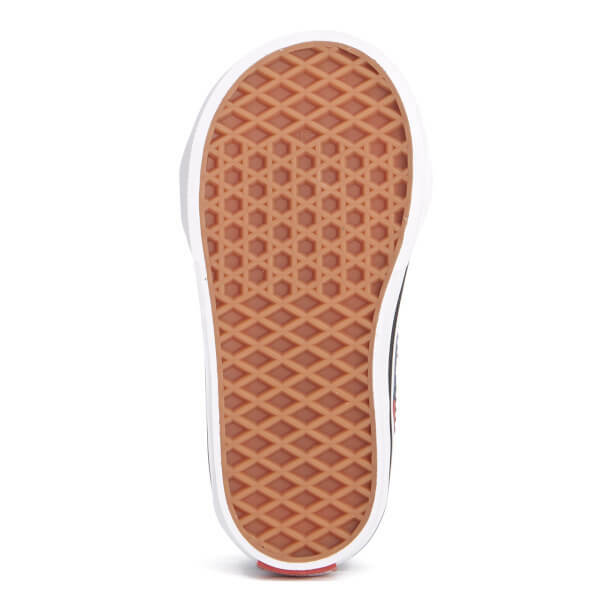 Set on a vulcanised rubber sole with Vans’ signature waffle tread outsole, the sneakers are complete with a padded ankle collar, a brand patch on the tongue and a Vans ‘Off the Wall’ license plate to the heel.